If you own a retail store or you are about to open your own shop you will definitely need to take measures in making sure your merchandise is secure from theft. “Retail theft”, “shoplifting”, “customer theft”, “shop theft” are terms used when a customer has entered a retail store and removed an item or items belonging to the store (you) without paying. Retail theft consequences have a rippling effect and although appears as a petty crime accounts for millions in lost revenue. It may also appear as a victimless crime – it isn’t. Staff wages are affected by the store’s profit and if customers or staff are stealing then profits drop, along with wages - or no pay rise. Likewise, customers are affected. If the store’s sales and profits are down then the shop prices go up in order to pay the bills. So it’s of everyone’s interest to prevent retail theft. This article will give you a basic understanding of what retail theft security measures are available to shop owners, and who want a guide on retail theft prevention. You can help prevent retail theft at your premises by using this practical advice, about what you can do as a retailer to deter customer theft in your shop. To have a better understanding of what theft is in the eyes of the law, a more technical term of theft is; “someone who dishonestly takes property belonging to another, with the intention of permanently depriving the other of it”. Each country or state will have their own specific legal definition of “theft” but will generally be worded along those lines. You can search the internet for a more specific legal definition relevant to your place of business. By knowing this term can aid you in how you view and deal with theft from your retail store. Opportunists – this type of shoplifter doesn’t steal on a regular basis, but is influenced by opportunities such as high value goods left unattended by staff, or easily accessible display areas. Persistent thieves – persistent retail thieves steal regularly, perhaps daily or every week. They’ll take items as well as make genuine purchases and can be one of your oldest or most trusted customers. So don’t take anyone for granted. Juvenile shoplifters – youngsters, particularly juveniles, can be influenced by peer pressure to steal from a store. This can be part of a “group think” mentality where they’ll only steal when in a group. They will usually steal items such as CDs, electronic games, or fashionable goods. Thieves that use children – some shoplifting teams are made of family members that use their young kids to steal (in order to avoid adult convictions) or to cause a distraction that will conceal theft. Mentally retarded – a very small group of people have a mental disorder which compels them to steal. Sometimes goods are stolen which are of no real value to the thief (such as a single shoe), and if caught, they are often found to have at home large amounts of such stolen property. Drug abusers – many shop thieves steal to support their drug habit, which can cost them hundreds of dollars a week. Often the druggie see’s shop theft as the easiest way to raise their drugs money. Gangs – organized retail theft is sometimes carried out in large gangs. Entering a store they will intimidate, threaten, or distract staff, in order to steal large quantities of goods before running off. It’s dangerous to tackle these people - unless you have appropriate backup - as they are likely to resort to violence. Staff collusion – sometimes shop staff help thieves to steal, either actively, or by turning a blind eye to what’s going on. Thieves may pay the member of staff to co-operate with them, or they may intimidate them into doing so. 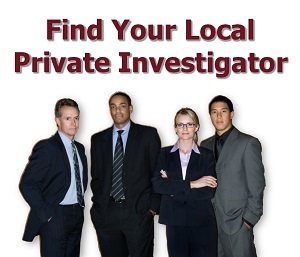 It is good to have a private investigator run a proper background check on potential employees before you hire them. Professionals – professional organized retail thieves target high value goods, and often steal in bulk such as entire racks of clothing at a time. Often they work in teams passing goods between several people before they are eventually stolen. Some gangs also use “minders” to protect them. What Can You Do About Retail Theft? You need to consider all of your circumstances and then choose the retail theft preventative measure that suits your business. You can ask your local law enforcement officer for advice. And just remember that all retailers are at risk of store theft. Never think that your type of business isn’t. Establish a store policy for the prevention of customer theft and make sure that all of your staff is aware of it. Remember to brief any new and part-time employees on the store policy and procedures. Alert and well trained staff forms the basis of good retail crime prevention. Don’t rely on technology alone but invest in proper staff training. Find a suitable training company that teaches retail theft awareness or hire a local private investigator that has specialized knowledge in retail investigations. Retail loss prevention training doesn’t need to be expensive and once trained just 15 minutes or so each week should be enough for staff refresher training. Vigilance – teach your staff to be alert, and to recognize store thieves. There are many signs of a retail thief but they will often look around the shop floor rather than at the products, and behave in other suspicious ways. Get your staff trained to spot these potential thieves. Know what to do when a suspect is identified – decide on what you expect your staff to do when they identify a suspected thief. Making suspects aware they have been noticed will often be enough to deter them from stealing. Use the normal store sales approach such as; “can I help you?” or “can I help you find something?” Make yourself busy near the suspect; continue walking past them, smiling and looking at them in the eye. This will usually put them off. And if the theft has already occurred, you will want your staff to keep the thief under close observation – or alert security staff if you employ them – with a view to making a citizen’s arrest. Use a combination of loss prevention measures. Most loss prevention strategies work best with a combination of things such as; CCTV can work more effectively, when helped by use of security mirrors, good lighting, and well-trained alert staff. Store design is also very important. Display dummy or non-functional goods - display empty dummy boxes for high-value goods and remove the key parts from electrical goods. Cabinets and cabinet security – display store items within glass cabinets. If high valued goods are displayed in the cabinets, the glass will need to be fixed so that it can’t be lifted out. Locks must be of good quality with key access strictly controlled. Warning notices and signs – place prominent signs and notices around your store warning customers about the consequences of theft. Signs are inexpensive and work best if they are displayed in high risk areas. Mirrors – mirrors can help you to keep an eye on areas which would otherwise be out of sight. Place them on pillars or walls that help you to see in visual dead-spot areas. Display “loop” Alarms – high value store items can be protected by wires which “loop” through them to an alarm box. If the wire is cut or disconnected without the use of key or code, the alarm will sound. Product security-tagging may also be a valuable anti-theft device for your retail store. Closed Circuit Television (CCTV) – in-store CCTV cameras will deter some thieves, and can help with prosecutions as long as good quality equipment is used. CCTV cameras should be highly visible. You can place monitors mounted at entrances, and place signs up around the store alerting potential thieves that CCTV is in use. Dummy CCTV cameras can provide a short term inexpensive deterrent on their own, or they can increase the apparent cover and therefore deterrent value of a live CCTV system. But don’t just rely on dummy cameras as thieves will soon find out. Radio-link security schemes – these schemes link a number of different retailers with radio communications, and usually provide a channel with the local police. This allows early-warnings about the approach of known troublemakers to be broadcast to the retail stores and for the assistance of law enforcement if needed. Your store is private property, just like your home, and even though there is an implied invitation to come in and shop, you are fully entitled to exclude any person from your store. If you feel that someone in your shop is unhelpful or detrimental to your business – e.g. a drunken person, a previously arrested shoplifter, or a suspect thief – you can ban (permanently exclude) them from your store. You do not have to give any reason for banning someone. Just politely tell them that you would rather they didn’t shop there anymore, and that you would appreciate it if they didn’t come into your store again. If they return they will be trespassing, and you can order them to leave. If they refuse to leave, you are entitled to call the police who can assist you in removing them. If your store is located in a mall or shopping center, then you can call a security guard to help remove them. We hope you have gained some useful knowledge on how to beat the shoplifter. To be truly effective depends on you and the efforts you make to tackle retail theft in your store. 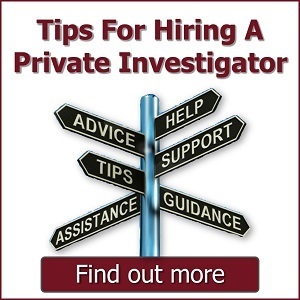 And if you need to employ the services of a private investigator for expert advice or training then search our directory.